This article is about discontinued subscription rewards. For the rewards from DLC game packs, see DLC Loyalty Rewards. The ESO Subscriber Loyalty Program was a reward system for subscribing members. 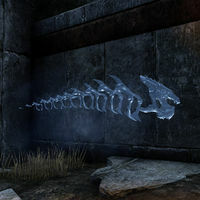 Users were given a reward for the number of months they had had a paid subscription to ESO (excluding the first free month that was included with the initial purchase of the game, and any complimentary time). The time was cumulative, not consecutive; if you stopped your subscription for a few months and started again, you would receive the reward after having been subscribed for the correct number of months. The rewards were distributed through the in-game mail system. 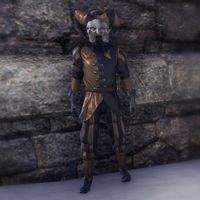 The Loyalty Program was discontinued after the release of Tamriel Unlimited, and the rewards cannot be retroactively earned through an ESO Plus subscription. The reward for three months of a paid subscription was a High Hrothgar Wraith pet. The reward for six months of a paid subscription was a Loyal Dwarven Sphere pet. The nine-month reward was a Mask of Cheerful Slaughter costume. 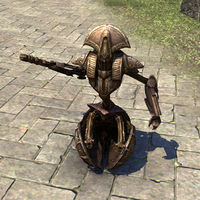 A Striped Senche mount was given as a special reward to players who had been "subscribed from launch" until the release of Tamriel Unlimited. Receiving this reward required having paid for at least 300 days of subscription time, as well as possessing an active subscription upon transition. This page was last modified on 24 December 2018, at 23:09.